For September we have chosen Lieutenant Colonel Charles Ballard’s war diary as our key object. 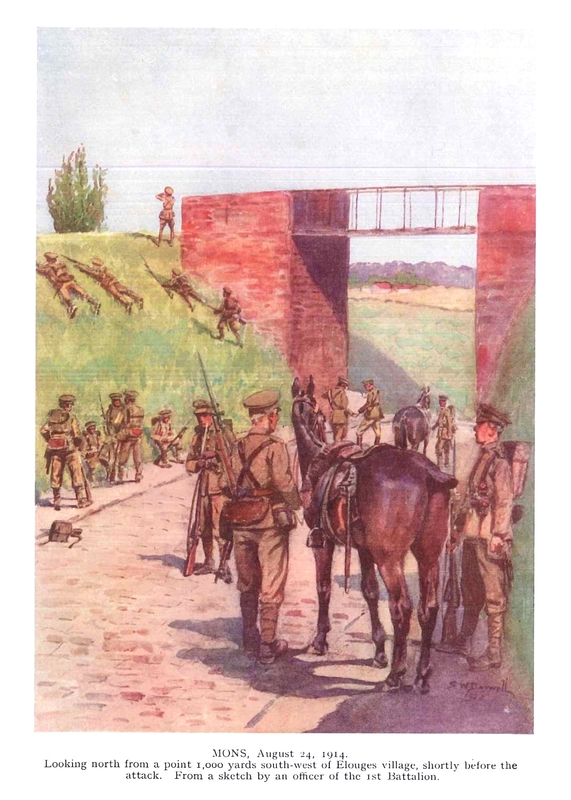 Unit war diaries are great resources for First World War historians and researchers because they detail each battalion’s day-to-day activities. These diaries varied in length and detail. 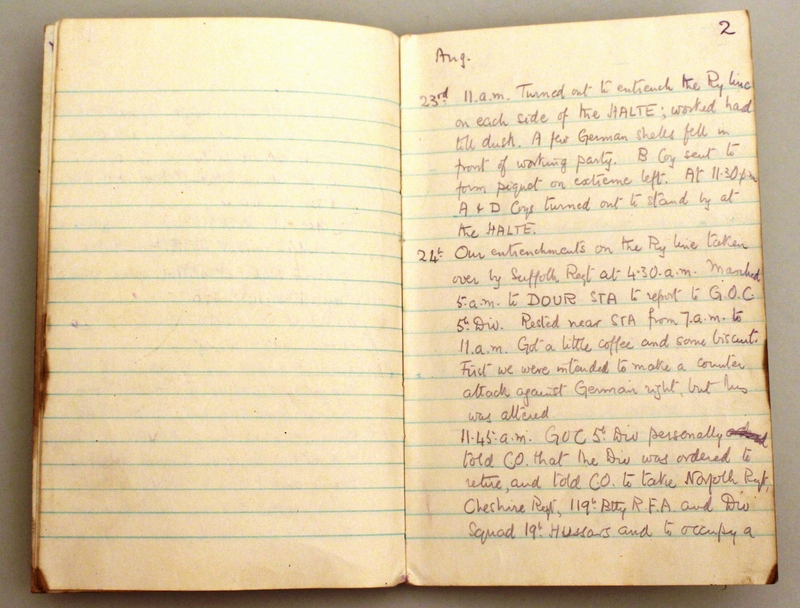 Lt. Col. Ballard of the 1st Battalion kept the war diary in a rough notebook for the first months of the war. The 1st Battalion’s war diary was later kept on Army Forms C 2118, the War Diary or Intelligence Summary forms that you might have seen before. The Battle of Mons was the first battle that the 1st Battalion of the Norfolk Regiment would experience. The battle took place from the 22nd – 24th August, 1914 as the British Expeditionary Force tried to prevent the German advance towards Paris. 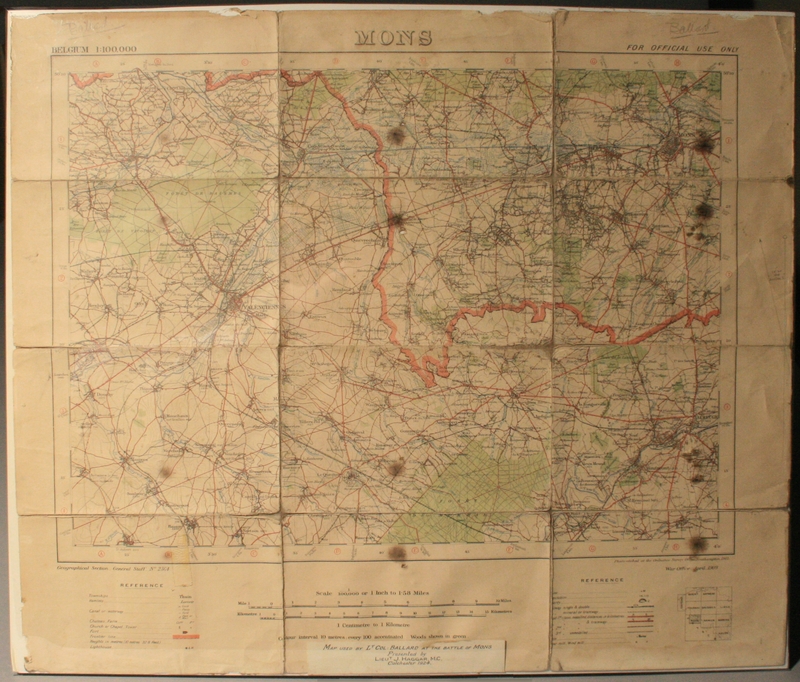 On August 24th, the German attack spread along the length of the Mons-Condé Canal, where the battalion had been stationed as part of the 5th Division. Lt. Col. Ballard’s war diary tells the story of what happened next. Under heavy fire the 3rd and 5th Divisions had to pull back. A rearguard needed to be found to protect the 5th Division’s uncovered left flank, and the task fell to the 1st Norfolks and the 1st Cheshires with Ballard as their commanding officer. The German infantry advanced, leaving the Norfolks and the Cheshires dangerously isolated. They fought on, and eventually the Norfolks managed to rejoin the rest of their brigade. Casualties were heavy but, due to the courageous actions of the two battalions, the rest of the 5th Division had been able to retreat. By May 1915 a popular rumour arose that angels had protected the troops in battle. As the last living family member of the Harvey Family. I am trying very hard to obtain the details of my Fathers MI D. He was in the 2nd battalion at Kut. His citation was no 776 dated 15th July 1916 and should be in the Gazette of India. To date l have had no luck…can you assist? many thanks for your query, we have spoken with our Mesopotamian researcher and may have some answers for you. If you could possibly email Sarah at norfolkinworldwar1@gmail.com we can pass on the information that we have found for you.